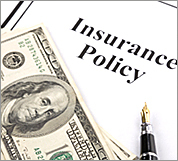 Every business needs commercial insurance but every industry has its own special requirements. You may need: General Liability, Workers Compensation, Business Auto, Commercial Umbrella, or another Commercial Insurance product. At Henri D. Kahn Insurance Service we will take the time to talk with you about your business and then recommend appropriate insurance strategies and search to find the insurance company or companies best suited to providing you with optimal protection and the most competitive pricing. We also have attractive options available for your Employee Benefits Plan such as: Medical, Dental, Short and Long Term Disability, Group and Exclusive Life Plans including Business Continuation. We will be happy to provide you with a quote. Give us a call...stop by and see us...or, just click the quote button.